Shrimp & Grits with a Salad | Jouer avec le feu. 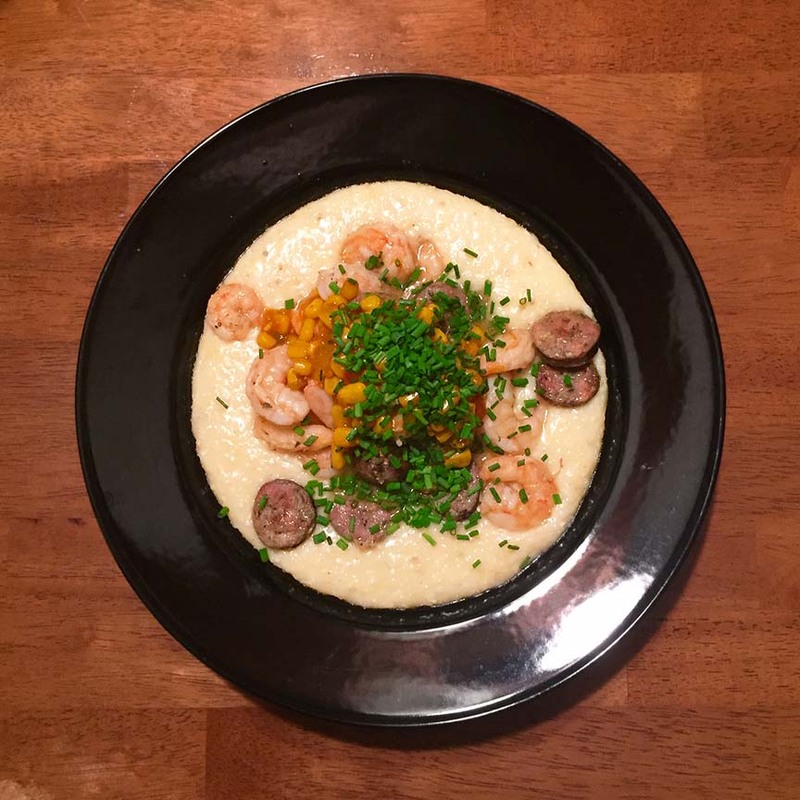 I thought I would give this one another try, but cooking the grits my way (not the way that guy from Boston does it). I decided to have this with my last bottle of the Cellar Society – WP1 from Wolves & People.